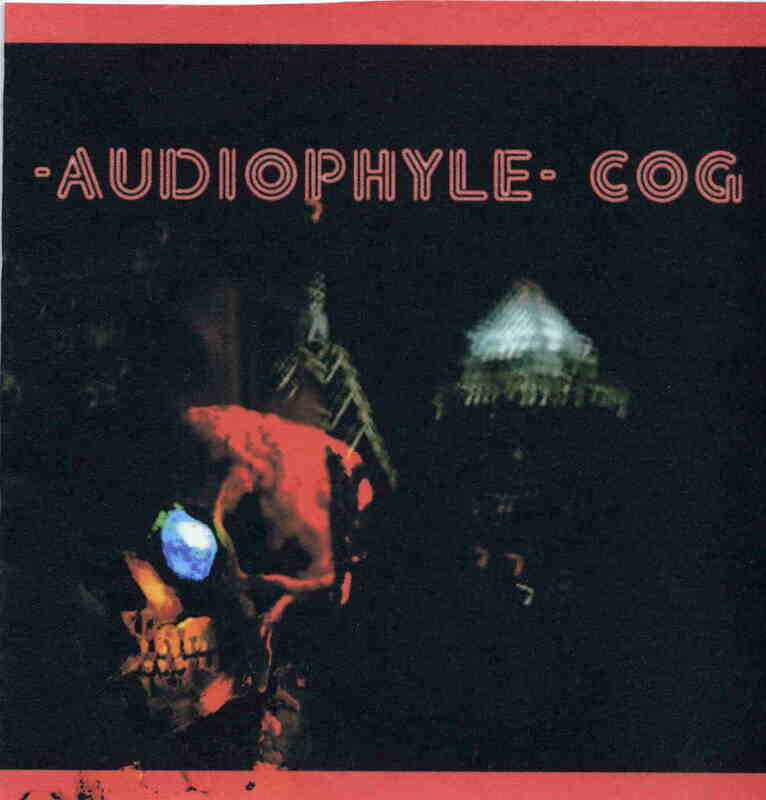 There’s a lot going on throughout this double CD from Philadelphia’s Audiophyle. While they refer to themselves on their myspace site simply as a space rock band, that’s only part of the equation. According to their bio, they got together back in 1998 and started playing “tight, dubbed-out space jams”. But their latest album, Cog, finds the band exploring numerous sonic directions, combining and mixing them in new and exciting ways. Cog consists of two discs, the first a collection of more song oriented material, the second a disc of totally instrumental explorations. On the first disc, we get a collection of songs steeped in an early 80’s post punk aesthetic, but filtered through the fuzzy grunge and alt-rock sonics of the 90’s, with a liberal seasoning of the band’s space rock roots to give it that out there edge. I was reminded of a spacier, heavier take on artists like Public Image Ltd. and Siouxsie and the Banshees, the latter especially in guitarist Tia Refait’s wailing, intense vocals. The band does mostly original material, but throws in a few covers for good measure. Included in the covers is a particularly grungy take on Soundgarden’s 4th of July, with Refait finding a deep, oceanic, Black Sabbath-like guitar tone for the main riff. They also do an absolutely blistering space rock version of The Cure’s A Forest, with some deliciously heavy guitar riffing from Refait and keyboardist Doug McMahon providing spacey synths (other core members of the band include Colin McDonnell on bass and synths and Steven Partyka on drums). This one blows the Cure’s version out of the water, in my opinion! Originals like Darker Then Him and Spin Circle Spin, with their shadowy synths and freaky guitar effects, take the band in more of a space rock direction, whereas songs like Smoke and Load, Growl and Fluid follow punkier and more stoner rock-like muses. Near the end of the disc we get a taste of what’s coming up on disc 2 with the excellent Swimming, definitely one of my favourite cuts, a great instrumental featuring moody, fuzzed out guitar delays dripping with liquid, bubbling synths over a steady, hypnotic rhythm. The band plunges wholeheartedly into this freakier side of their sound for disc two, which is comprised of entirely instrumental jams and electronic expeditions. Tracks like Don’t Get Caught, with its jittery synths and bassy echo and Parotswalking, which bases its grooving jam around a funky 80’s style synth sequence, are par for the course here. With its watery rhythms and understated melodies, Gray Again is pure electronica, but Planet on the other had dives straight into a sort of buzzing glitchcore with dub undertones. Lime 2 takes the dub into overdrive with a spaced out, jazzy meditation drenched in reverb and delay. For the most part, it seems Refait trades her guitar in for a synthesizer on this disc (except for perhaps using the former instrument as an effects device), giving it a much more electronic feel than the first disc. But the guitar is definitely back in her hands for the nearly 20-minute long epic, Fvredd Biards, a bluesy excursion into 60’s style psychedelic jamming a la Quicksilver and other such bands. The disc ends on the abstract electronic sound collage of Warm Winter Sun, certainly the most experimental piece on the album. The two plus hours of music on Cog present a wide array of styles drawing on post punk, grunge, electronica and dub that when all pulled together create a dark, sonic wonderland for listeners who like their music intense, but with lots of diversity.